Due to daily planning and the very innovate learning system in Walnut School, students do not need a school bag at all. So the school bag weight is ZERO. Reading Theatre, a specially developed program of the Walnut Learning System, makes the children read out English scripts in the proper way. From KG to Std. 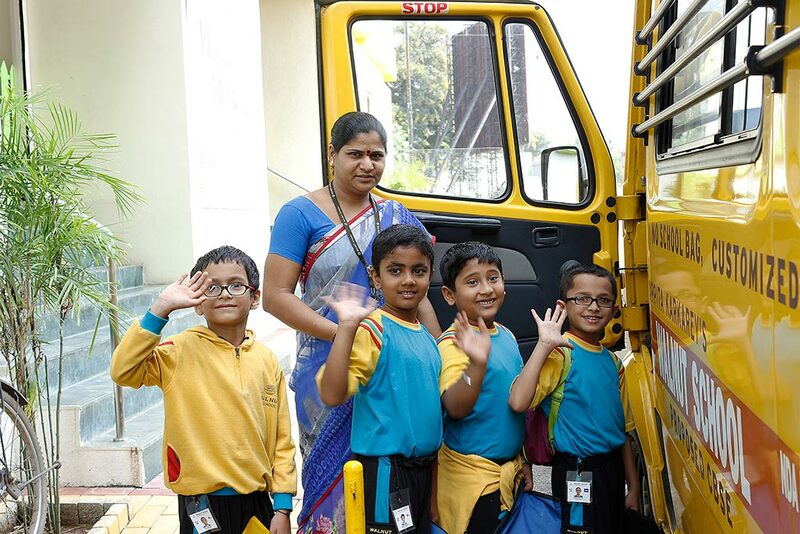 5 additional practice sheets are given which children can do at leisure. Formal homework starts only after Std. 6. Walnut School is truly a different school. The team behind Walnut School has been involved with schooling for more than twenty years and are considered by many as pioneers in the field of school education. All Walnut School branches follow the same core principles and implement all our unique features. Our systematic planning and execution ensures that minute attention is given to every detail - from cleanliness to academics. Students of Walnut School do not carry a bag. Through systematic and careful planning, we have eliminated the need to carry those things through careful planning. Our founding team are the pioneers of the “Bagless School” or the “No School Bag” concept. Students carry an empty folder to school and carry home worksheets from school every day. The sheets have information and exercises that they work on. The sheets have to be filed at home and gradually form the textbook and notebook for that subject. Every period in Walnut School is in a different classroom. That means each room has interiors customized to teach that particular subject! So, the classroom becomes a learning aid too! It has the ambience of the subject. Students change classes as the period changes. Children learn science in the Science Lab, Math in the Math lab and Social studies in the Social studies room! All this results in better learning and a very interesting school day. Moving between rooms also gives our students a five minute break after each period, which keeps them alert and fresh, even at the end of the school day. To give an excellent schooling experience in a safe environment, it is imperative that our teams across our branches and even at the head office are reliable and trustworthy. Our teachers and staff are highly experienced and maintain the fine balance between being loving and disciplinarians. Following very strict quality guidelines, our staff makes sure that all students of Walnut learn and enjoy school everyday, no matter what! 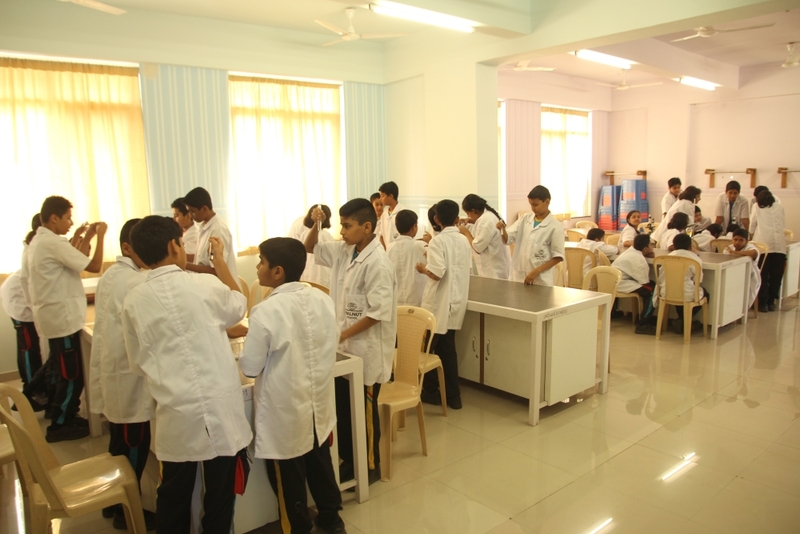 Spacious brightly lit customized classrooms, laboratories, well-stocked libraries, multiple play areas, separate eating areas for children, clean and hygienic toilets are the hallmarks of every Walnut School. We believe that observing this cleanliness and hygiene creates an impact on the impressionable minds and works towards building a progressed civilized society. To facilitate learning, our benches are comfortable, and our classrooms are equipped with electronic equipment, where the teacher leads discussions leading to solid learning outcomes.You can find out more details of the infrastructure on our respective branch pages. Hands on activities help the children develop real life skills. In addition to the core academics, children also pick up financial planning, current affairs, logic and strategy. Novel activities like reading theater improves their reading, speaking and presentation skills – which happen to be the most important skills which will be needed in the future. Our events are one of a kind, and each one focuses on different aspects of development and growth. Clarity of thought, communication skills, conclusive ability and confidence greatly increases due to the exposure they get in the school. All these give students an edge above others when they become part of a larger group as they pass out from school. Sometimes, children don’t quite pick up a concept in the classroom. Some need more attention, some need additional instructions in their mother tongue, some just need more time. However, if a weakness remains it affects future learning, especially in subjects like English and Mathematics. At Walnut, this extra time and attention is given to the students. That helps them understand the concepts and retains their interest. Even parents are coached in these sessions and are asked to sit with their child for one on one attention. What matters most is the reputation of the school – which comes directly as a result of the team’s background, and the awards that the school has achieved. Walnut School has achieved a good reputation in a very short time – all because of our team and of course, our students. Our parents have put in huge confidence in our ability to shape their children’s minds, and as you can see, our parents are very happy with the schooling experience that we provide! At Walnut School, we focus a lot on reading skills in the early years. If children can learn to read well then the transition in the later years to read to learn is not difficult. All the concepts that are to be taught are laid out by our planners and almost every classroom minute is mapped. So there is planning for every concept, every period, every activity – what to teach, how to teach, what to ask, how to evaluate, how to move ahead, how to revise and so on. This allows for a great variety of activities like role playing and analysis in history, fact finding and linking in geography, experiments in science or reviews in English. All this is planned in advance, for each and every classroom period, even before the academic year begins. The teachers are carefully selected and briefed about every learning goal. With this level of planning, learning is always effective and on track. Read more about our Learning System here. We have an extensive library of eLearning software that we have created ourselves. The modules are short, intense and to the point. Each lesson is broken up into concepts and there are hosts of tests with multiple choice questions that the children can take on demand. That helps them learn at their own pace, revise and feel confident to handle all kinds of testing formats later. All these are available online and can be accessed from home too. Arts education makes children more aware of their senses and emotions. It helps them express their ideas, feelings and experiences. Fine arts such as drawing, craft and sculpture help children develop aesthetic sense and perspective. Performing arts help the children get more control over their movements and bearing. Music encourages focused listening, concentration and attention. Dramatics and dance let the children experiment with movements and expression to communicate a range of emotions. Again, meticulously planned, the Walnut School way. Physical fitness is very important for quality of life. The habit has to be developed at an early age. That is why in our school in the early years, physical fitness is part of the daily routine. A playground is where children understand the dynamics of teamwork, leadership and strategy. The urge to win and the grace to accept defeat and learn from mistakes go a long way in creating an individual geared for success. Children do get some homework sheets as additional practice is needed to reach a certain skill level. However, as everything is already planned, the homework is precise, meaningful and concise. It doesn’t take the form where parents have to run around or sit up and finish projects for the children. The quantity of homework is also planned properly so that children have a regular, age appropriate dose. Keeping parents in the loop is very important for the students’ success. Parents can log in to the school network and get regular updates about what and how the children are learning in class. They can also get updates on their mobile. There are regular parent teacher meetings every fortnight where parents can speak to teachers one on one. These meetings are usually on Saturday mornings so it is convenient for parents to attend. Detailed circulars give clear and precise information about the going-ons. That keeps parents informed and involved at all times and we can all work together for the benefit of our children. 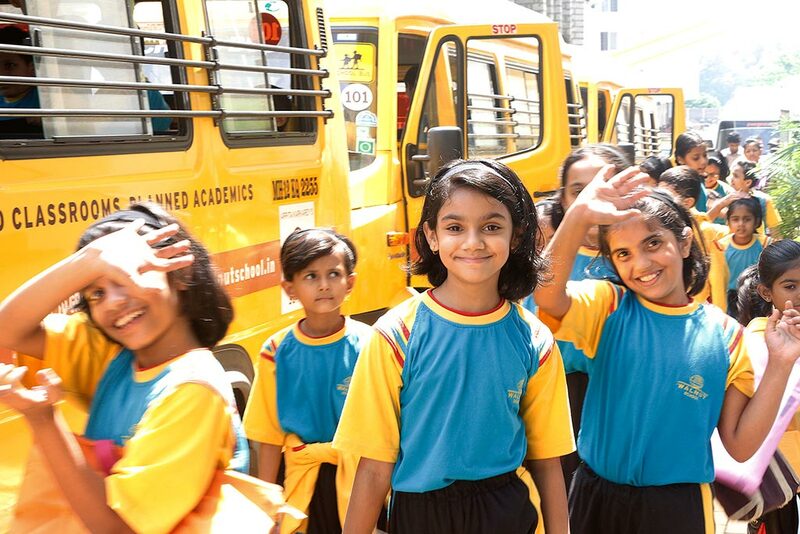 A school exists for the benefit and well-being of the students. Parents, teachers and management all must work to achieve this goal. Parents have a healthy communication channel in the school but it may so happen that they wish to address their concerns to a higher authority or they want a better solution. For this, we have a team at our central headquarters that can be approached to address escalated grievances. Computational thinking is a fundamental skill for everyone, not just for computer scientists. It involves solving problems, designing systems and understanding human behavior by drawing on the concepts fundamental to computer science. At Walnut School we believe deeply in this and implement this approach when designing content for all subjects. All these unique features along with many other additions combined together result in an awesome learning experience for students, and a hassle-free experience for parents and teachers! Want to know more? Fill in the form below to contact us!